The Japanese auto mobile expert has debuts the Acura SUV-X concept car. 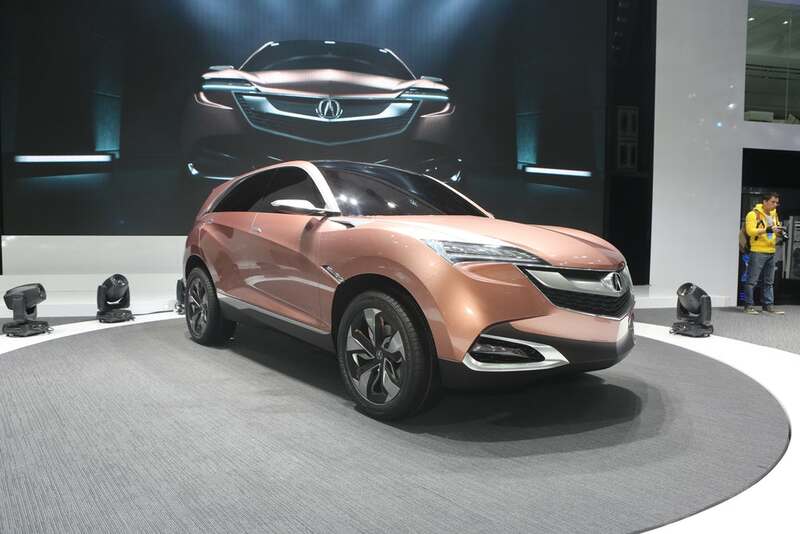 Acura concept SUV-X in China will be going to be a hit. 2013 Acura SUV-X car has unveiled by the famous Japanese auto mobile expert Honda. It is said by the company that the Acura SUV-X Sporty concept has been designed and developed for China and as well as for globe. The product of Honda will be definitely going to be a hit in The Chinese auto mobile market because it is compact SUV concept. As per news the compact SUV concept is a real time hit China as consumers have a lot of bent towards it. The company has a given the car a total different look. The car has a deep nose look. The exterior shows the best mechanical drawings from Honda. The car has sharp creased lines which move around the body of the car. The sharp edges and the aggressive look of the car make it more stylish and aerodynamic. This time a notable change in the SUV is the lifted up back of the car. The car gets and attraction from the humped over look. Other prominent attraction of the car is the centralized fitted Acura?s emblem the letter ?A?. This is also a changed feature in one of the SUV?s from Honda. The Acura is one of the first vehicle which debuts outside the North America. The crossover production is predicted to happen before the year 2016. The company has not specified any of the details on the mechanical specifications of the car, but then as per our prediction it can be a conventional engine with a pinch of hybrid technology. It might be possible that the Acura can get locally produced by the company in China. Crux of the news: The Japanese major Honda has unveiled a new concept known as Acura SUV-X concept. The company stated that this is a global concept but as China is the biggest market that is why they have unveiled the concept here. The company has made the car especially to offer Chinese consumers the values of Honda and Acura. The CEO of Honda said that they believe in consumer satisfaction and thus they provide an up to date technology, best comfortable interiors and ease of handling in the car. He also said that they are looking forward for the dynamic and parallel growth of Honda and Acura. He said that the company will make sure of this that consumers should get a high end technologies and first level of comfort with Honda made cars.